My daughter LOVES to eat and LOVES her veggies. I am a SUPER lucky mommy, I know! 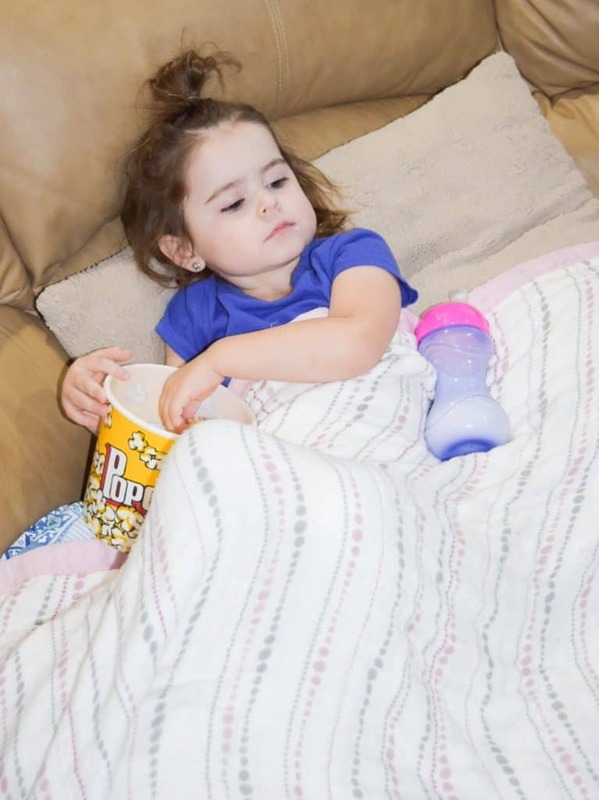 However, there are days when she only wants to drink her milk, eat a cheese stick or cereal bar and not sit for another meal all day. It seems like it is a hit or miss with her daily. 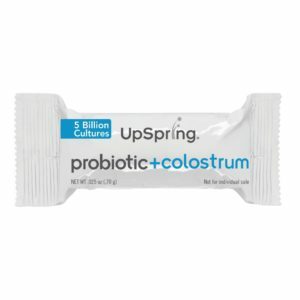 Luckily, I have discovered the UpSpring’s Probiotic + Colostrum. They are so easy to use because they are single serve packets. Since they are a flavorless powder it is easily mixed with her every day drinks. What makes me a happy mommy is that they are sugar free & free of hormones. Win -Win! 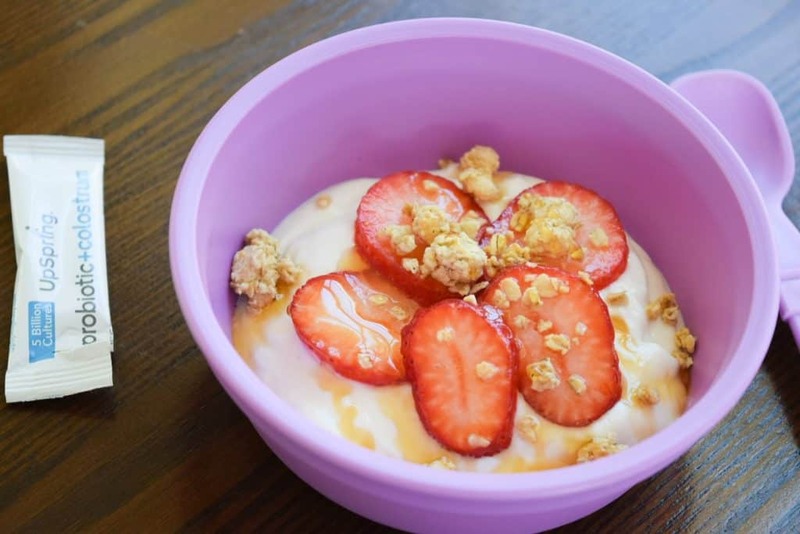 Some of our favorite meals to add UpSpring into without fuss are her morning oatmeal or yogurt with granola and honey drizzle. For lunch, she loves to snack on veggies and HAS to have a dip. She will make me aware if I forget to provide dip with her veggies. I add the powder into her dip easily and stir it up. 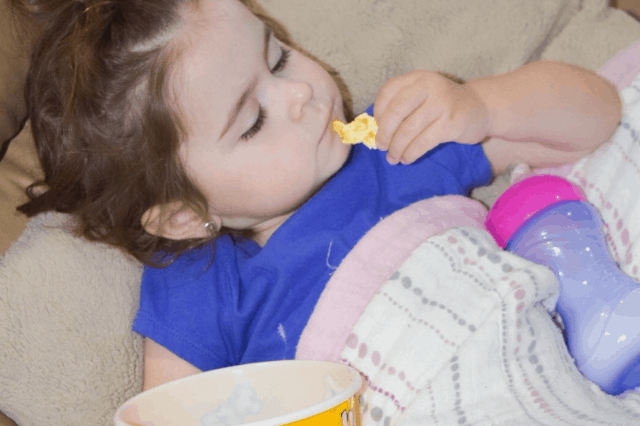 She also loves to sit to watch a movie while she snacks on popcorn and drinks her milk. I sneak the powder into her milk without any objections. Dinner is a mad house around here, my husband doesn’t have your average 9-5, so we sometimes eat together and sometimes all eat at separate times. If my daughter has no objections we love for her to sit with us at the table and eat what I’ve made for the family. But let’s be honest, getting a 2 year old to sit at the dinner table for a meal with the family isn’t always the easiest. If she ends up eating on her own either at the table with us or sitting on the living room floor, she LOVES a good helping of my mac and cheese. Who can blame her? Who doesn’t love a big ole scoop of macaroni and cheesy goodness. Her probiotic is folded in with the cheese right before serving. 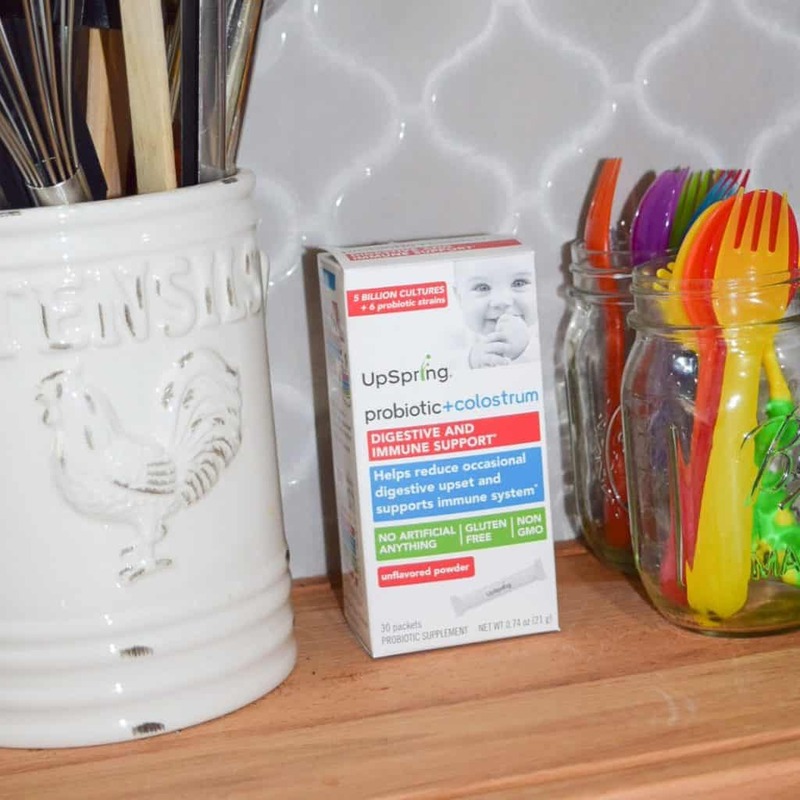 UpSpring’s Probiotic + Colostrum recently hit the shelves at Target and Walgreen’s. This product does double duty, helping to reduce occasional digestive upset like constipation, gas and diarrhea, while also providing additional immune support. 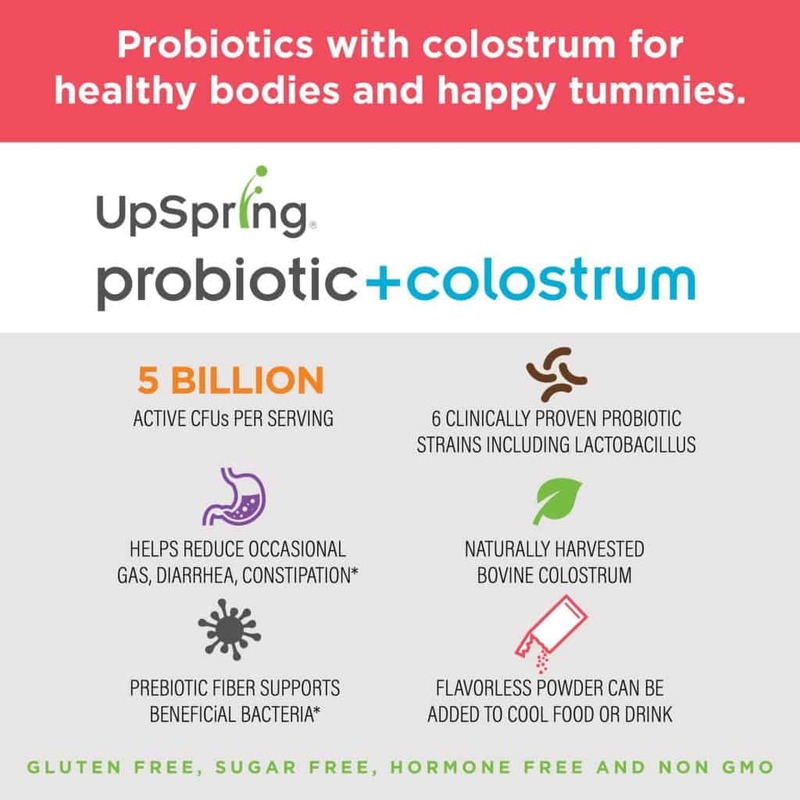 With 6 probiotic strains plus prebiotics (which help the beneficial bacteria flourish), each serving contains 5 billion active cultures. 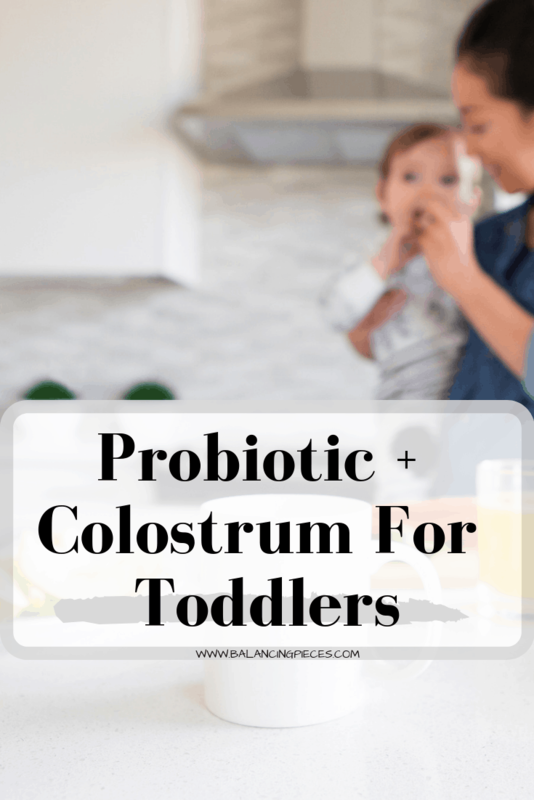 Colostrum, too, acts like a prebiotic, and it provides a complete range of antibodies for even more immune support. Want to get social with UpSpring?